Two of the most prominent cabinet ministers, and those most heavily implicated in Brexit negotiations, have resigned from Prime Minister Theresa May’s cabinet, and her ministry could fall. However, the Fixed-Term Parliaments Act complicates matters and could even offer the beleaguered May a reprieve, or at least keep the Conservative Party in government. This act has put the British Crown’s prerogative authority over dissolving parliament into abeyance. In other words, the Queen no longer dissolves Parliament on the advice of the Prime Minister. Instead, Parliament can now only be dissolved pursuant to the statutory authority contained within the Fixed-Term Parliaments Act itself. 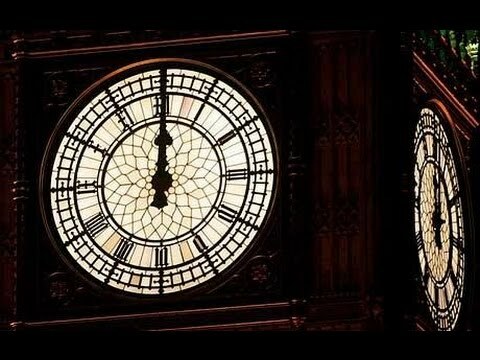 As I describe in my journal article “When the Bell Tolls for Parliament: Dissolution by Efflux of Time” in the Journal of Parliamentary and Political Law last year, the Westminster Parliament can now only be dissolved in one of three ways, under one standard procedure and two exceptional procedures. 1. Under section 3(1) of the Fixed-Term Parliaments Act, parliament dissolves automatically by efflux of time in the normal course of events. This first happened in March 2015. The Parliament then in existence dissolves at the beginning of the 17th working day before the polling day for the next parliamentary general election as determined under section 1 or appointed under section 2(7). Section 2 of the said Act outlines the two procedures for early dissolution. (b) if the motion is passed on a division, the number of members who vote in favour of the motion is a number equal to or greater than two thirds of the number of seats in the House (including vacant seats). (b) the period of 14 days after the day on which that motion is passed ends without the House passing a motion in the form set out in subsection (5). 2. In one case, parliament may be dissolved early if two-thirds of MPs pass a motion “That there shall be an early parliamentary general election.” Prime Minister May herself triggered this procedure in April 2017; in the resulting election, she led the Conservatives to losing their parliamentary majority – which is why she now finds herself in 2018 in such desperate circumstances. 3. In the other case, if the Commons votes non-confidence in Her Majesty’s Government by simple majority (“That this House has no confidence in Her Majesty’s Government”) but subsequently fails to pass a confirmation vote for a new government (“That this House has confidence in Her Majesty’s Government”) within 14 days, then Parliament shall automatically dissolve in order to break the deadlock. The defeated government would remain in a caretaker capacity during the ensuing election. Thus far, this method has not been used, but it could come into play this week. Logically, these two exceptional procedures have replaced the old confidence convention, which means that the House of Commons can no longer withdraw its confidence from Her Majesty’s Government by implication, like by voting down the Queen’s Speech, a supply bill, or a major policy bill. Likewise, the Prime Minister no longer has the authority to deem that the government has lost the confidence of the Commons and call an early election. (I’ve written in greater detail on this question of confidence under the Fixed-Term Parliaments Act here and here). As such, the Fixed-Term Parliaments Act will effectively insulate the governing Conservatives from the consequences of the May government’s implosion. Even if the not-so-loyal leader of the Labour Party and Her Majesty’s Loyal Opposition, Jeremy Corbyn, presses his advantage amidst the chaos and introduces a non-confidence motion under section 2 of the Fixed-Term Parliaments Act and it passes, the Conservatives would still have 14 days in which to nominate a new party leader whom the Queen would appoint as Prime Minister, and then work with the DUP so that the a ministry can win an affirmative vote of confidence under the Fixed-Term Parliaments Act. Another potential option presents itself for Prime Minister May. The Fixed-Term Parliaments Act, 2011 put the prerogative over dissolution into abeyance, which means that the Queen no longer dissolves parliament on the advice of the prime minister or under any circumstances whatever. However, the Fixed-Term Parliaments Act deliberately preserved the prerogative authority over prorogation – which means that Theresa May could conceivably pull a Stephen Harper or Dalton McGuinty and advise the Queen to prorogue this session of 57th Parliament, let the situation cool down, and then reconvene with an affirmative motion of confidence at the beginning of the new session. (1) This Act does not affect Her Majesty’s power to prorogue Parliament. During the legislative debates on the Fixed-Term Parliaments Bill, Labour MP Chris Bryant argued that the bill should put the prerogative authority over prorogation into abeyance as well in order to prevent any British Prime Minister from engaging in a tactical prorogation (column 738). Bryant even cited Harper unfavourably. Time will tell. And I shall nerdily watch with great interest! 1. I still disagree on your use of the term abeyance. To me, an abeyance implies a sort of suspension of something. The most common use of the term that I have see is when an English peerage is in abeyance because there are two or more co-heirs and the title cannot be shared. The abeyance ends when, for a number of reasons, one heir is left or one heir is allowed to assume the title. However in this case, the Crown’s power of dissolution, again as I see it, has been abolished. There is no way to dissolve parliament except as provided in the FTPA. Any repeal will probably include means of dissolution, which could be given back to the Crown. But I am not sure that the Crown would simply resume having the power if the act were simply repealed. Of course this a moot point. 2. I hope I am just reading it wrong, but the way I read the passage suggesting prorogation and returning with a confidence motion implies that May could lose a no confidence vote, prorogue and come back with the balance of the 14 days still available to her. I am simply reading that wrong, aren’t I? On point 2, the Act reads literally that the election is initiated if a confidence motion is not passed by the day 14 days after the no-confidence motion passed, so I assume that prorogation could not ‘stop the clock’ on the statutory 14 days and prevent the election. On point 1, perhaps the term closest to what James meant is ‘disuse’ rather than ‘abeyance’. I think I was just reading things too early and let the paragraphs mush together. I can’t believe anyone would be stupid enough to write an act or dumb enough to tried to read an act that would allow a prorogation to keep a PM in after a lost vote of confidence. Disuse implies that someone is choosing not to do it. Impeachment is disused at Westminster because its easier to vote no confidence or push the PM to fire an errant minister. The Queen simply doesn’t have the power. The only way abeyance or disuse would be correct, as I, a dumb Yank, would use the words is if something like, for example, the Queen still had the power to call an election whenever she wanted but wouldn’t because it was unclear what happens with two elected parliaments hanging around. You are correct that prorogation could not be used to somehow delay or pause the provision in the FTPA where dissolution occurs automatically, by efflux of time, after 14 days. I was suggesting that May prorogue BEFORE the Commons votes on a motion of non-confidence under the FTPA. Mark might be right about the abolition of prerogatives in light of the Interpretation Act, 1978. I was using the term “put into abeyance” out of habit. I shall address these in kind. 1. The process that you describe where Parliament can pass a statute which subsumes a prerogative authority, and then subsequently repeal that statute in order to restore that prerogative authority, has usually been called in the literature putting a prerogative into abeyance. This happened with the English Parliament between 1640 and 1661, where various statutes restricted and abolished the prerogative over dissolution and where the repeal or expiration of those statutes restored the status quo ante. My thesis on the subject of fixed-term parliaments is coming out in a few weeks, and I delve into much more detail on this question. The Interpretation Act, 1978 does suggest that a simple repeal of the Fixed-Term Parliaments Act, 2011 would no longer suffice alone in reviving the prerogative, and that Parliament might have to indicate somehow in statute that it intends to revive the prerogative — which is a bit paradoxical, of course, and raises all sorts of metaphysical questions as to what prerogative is, since it is, by definition, uncodified. All is to say, you might right that I shouldn’t use the phrase “put into abeyance” in light of the Interpretation Act, 1978 — though it was certainly true before then. It’s also not a moot point; this is a good point that you raise, because the Conservatives did pledge in their Manifesto from 2017 to repeal the Fixed-Term Parliaments Act. Furthermore, under its own terms, the FTPA comes up for review in 2020 anyway, and the question might be put then. 2. As to your second point on prorogation, I shall clarify that the Prime Minister certainly cannot advise the Queen or Governor to prorogue parliament *after* having lost a vote of confidence — that doesn’t even make any sense. After losing a vote of confidence, the only options in Canada today and in the UK pre-2010 are resignation or advising early dissolution. I was suggesting that May could prorogue now, before the Commons votes on any motion of confidence under the FTPA. Don’t read too much into illiteracy. Constitutional commentary should be prorogued until after coffee. Ha! Yes — a very good use of prorogation indeed! Yes good to be reminded of these new rules. But I am not sure that the FTPAct rules fully obliterate the ‘old’ conventions about ‘withdrawing confidence by implication’. They have not been politically tested. If a PM ‘declared’ that a vote was a confidence matter and lost that vote, or if a budget bill was voted down, there would still be political consequences. At the least such events might trigger political resignations or realignments. What appears to have changed is that the PM alone cannot seek a dissolution as a result of losing such votes. A crisis over such a vote – including a blocked budget – would leave a government in office, but require it to accept a policy defeat, come up with a new budget, and so on. Or else just give up and resign. Either way, the Act has reduced the political power of the executive relative to the parliament in such cases. By the way, most Australian state parliaments now have various forms of fixed terms, similar to the current UK Act. Australia also has several powerful upper houses, which often block government policies without removing them from office. Also, it’s amusing to note that the word ‘confidence’ has lost much of its original meaning, and now really means little more than raw support for a government to hold office. The literal meaning of that word – suggesting an optimistic expectation that a government will actually do a good job – is clearly no longer to be assumed. If the Commons voted down an Address in Reply to the Queen’s Speech or a money bill today, post-Fixed Term Parliaments Act, this in and of itself would not amount to a withdrawal of confidence like it did in the UK pre-Fixed-Term Parliaments Act and still does in Canada and Australia. If the prime minister would still be obliged to resign under those circumstances as you imply, then that would only serve to show how stupid and redundant the Fixed-Term Parliament Act really is — because that’s what would have happened BEFORE the Act entered into force. And even then, there’s still a question to whether the new prime minister and ministry would need to seek the affirmative motion of confidence. Confidence used to be a practical matter, but the Fixed-Term Parliaments Act has turned it into a Continental European-style, civil law mess of literalness and obtuseness. The folly of pursuing a policy that was not really supported by a strong majority in a somewhat flawed referendum that wasn’t binding in the first place. May had a chance to back away be a fully and should have realised the pitfalls that lay ahead with Boris in the mix. My dad would have noted May acted with typical British pig headed stubbornness. I know we disagree over the EU and it certainly flawed, but England faces uncertain but most likely a poor economic future, worse with Trump playing silly games…Europe needs a semblance of unity. Like you I will watch this play out with interest. That said a very good analysis of the issues at play.